In tapping longtime telecom executive Daniel Akerson as its next CEO, succeeding Ed Whitacre, GM directors are intent on keeping the automaker on the same, new course a year after it exited U.S. bankruptcy. Akerson, an outside director at the automaker since July 2009, will become the fourth CEO at GM in 18 months, and the second consecutive outsider. And like Whitacre, Akerson, 61, is expected to bring an outsider's zeal for change and results, with no fear of shaking up things at a company often hidebound by bureaucracy. "I want turmoil; I want excitement," he once told Forbes magazine. The Wall Street Journal says he's a "a blunt-spoken, aggressive competitor." He can also be an impatient maverick. Once waylaid by a painful gall bladder ailment in Germany in the early 1990s, he pulled the tubes out of his arm, checked himself out of the hospital and immediately flew to the United States. German doctors were not moving fast enough, he complained to Forbes at the time. Akerson: "I am confident that we are building the foundation for GM's long-term success." Akerson -- an engineering graduate of the U.S. Naval Academy -- said Thursday that he did not anticipate major changes in Whitacre's strategy or approach when he takes over on Sept. 1. "We share a common vision for the goals and objectives of this company," Akerson told reporters on a conference call. "There are remarkable opportunities ahead for the new GM, and I am honored to lead the company through this next chapter." Under Whitacre, 68, GM's management ranks and layers have been thinned, with executives holding more authority to speed decision-making. 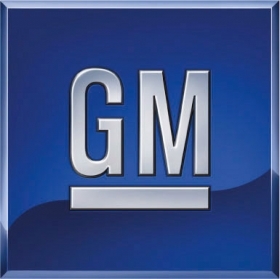 He has made building GM's core brands a priority to accelerate sales growth and overcome lingering taxpayer concerns about the automaker's government bailout. "We still have important work ahead of us," Akerson said. "But I am confident that we are building the foundation for GM's long-term success." At GM, Whitacre moved fast to revamp key roles -- often selecting outsiders. He has named a new chief financial officer, a new head of its core North American automotive operations, as well as new executives to oversee U.S. marketing and communications. In June, GM revamped product development, with Whitacre taking the reins of global product planning, and new heads named for powertrain engineering and quality. "My goal in coming to General Motors was to help restore profitability, build a strong market position and prepare this iconic company for success. While we have more to do, it is fair to say that GM is headed on that path," Whitacre said in an e-mail distributed Thursday to senior GM executives. "I have complete confidence that Dan Akerson will keep us moving forward. Dan is committed to GM; he's been a key player in the decisions our board has made over the last year. He will do a great job." Still ahead for GM is an initial public offering. The company is seeking to raise $12 billion to $16 billion this year. "Dan Akerson is a very good person to take the company through the IPO," Rebecca Lindland, an analyst at IHS Automotive, said on Bloomberg television. "While he hasn't led a traditional manufacturing company before, he certainly has the credentials to lead any company going through changes in its financial structure." Said Pat Russo, lead director on the GM board, in a statement: "Dan Akerson has been actively engaged in and supportive of the key decisions and changes made at the new GM. He brings broad business experience, decisive leadership, and continuity to this role." Akerson, a senior executive in The Carlyle Group's buyout business, joined GM's board in July 2009 after the automaker exited bankruptcy. A Carlyle Group spokeswoman said Akerson will step down from his position with the private equity firm when he takes over at GM on Sept. 1. Often labeled a "finance guy" -- he holds an M.S. in economics from the London School of Economics -- he was appointed to the GM board to represent the Treasury Department's stake in the automaker. He is the second consecutive GM CEO with a telecommunications background. Whitacre was previously the CEO of AT&T. 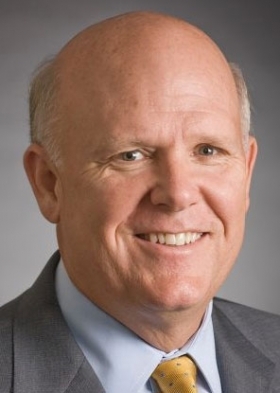 "Dan Akerson is one of the most exceptional executives in the country and will serve both GM's interests and our national interest well," Carlyle co-founder William E. Conway Jr. said in a statement. "He has played an incredibly valuable role at Carlyle. We will miss him." Before joining Carlyle in 2003, Akerson held several leadership positions in the telecommunications industry, beginning with global management roles and eventually the chief financial officer and chief operating officer posts at MCI. While later chairman and CEO at General Instrument in the mid-1990s, he oversaw the development and deployment of the first digital video, satellite and cable systems domestically and internationally. He is also a former CEO of Nextel Communications, the wireless carrier acquired by Sprint to form Sprint Nextel Corp. According to his Carlyle biography, he transformed Nextel "from a regional analog walkie/talkie provider into a unique, leading edge national digital wireless competitor." Shortly after stepping down as CEO of Nextel in July 1999, Akerson was tapped by Craig McCaw to oversee Nextlink Communications, which was later renamed XO Communications. XO entered bankruptcy in June 2002, and Akerson resigned as CEO in December 2002.